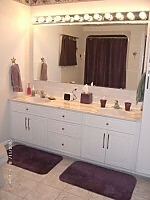 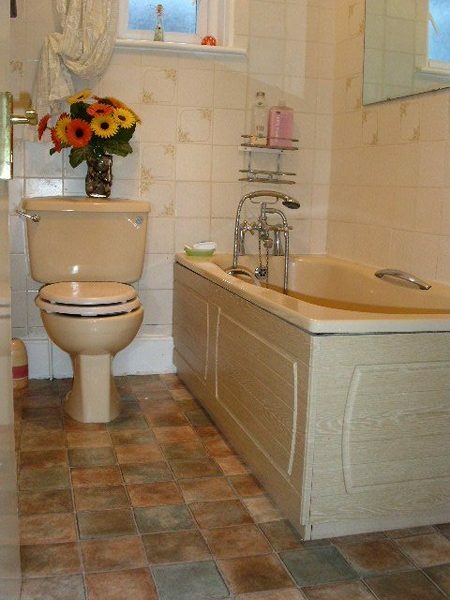 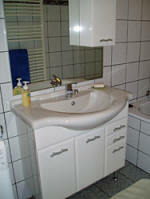 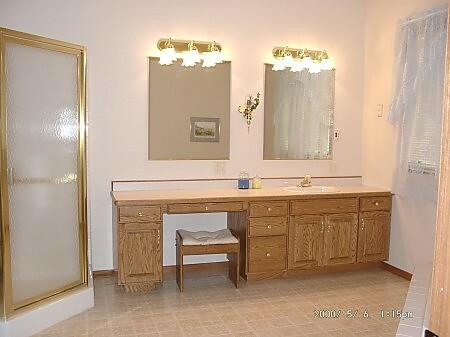 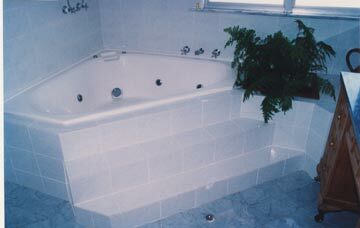 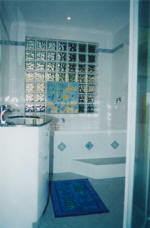 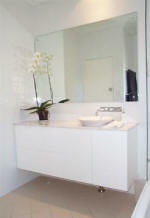 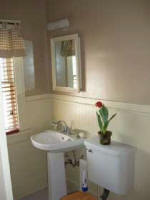 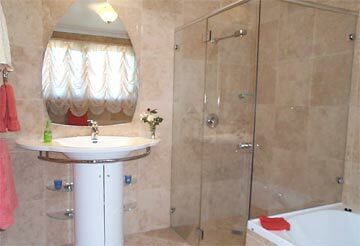 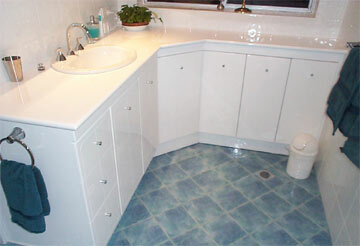 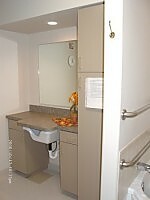 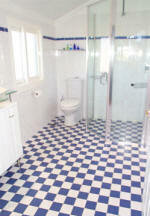 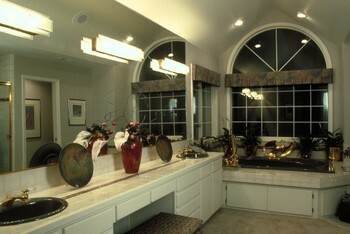 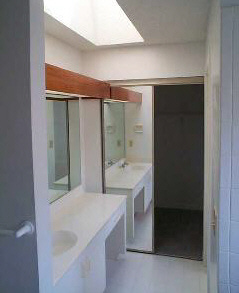 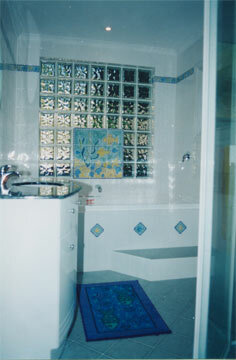 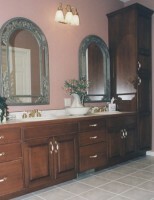 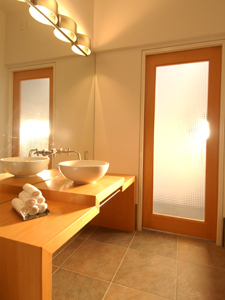 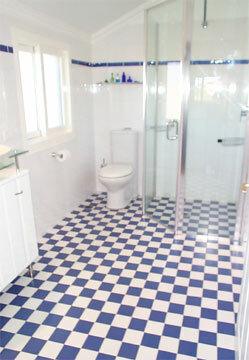 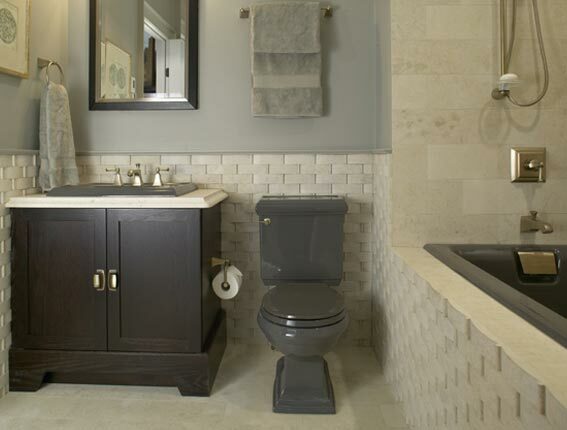 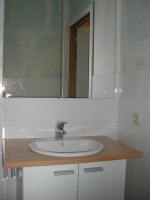 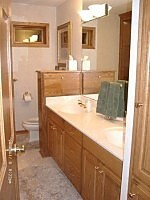 Building a new home or remodeling an outdated bathroom can be a daunting project. 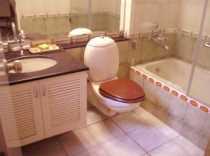 It is a home improvement project that can be more complex and time consuming than many home handymen are willing to undertake. 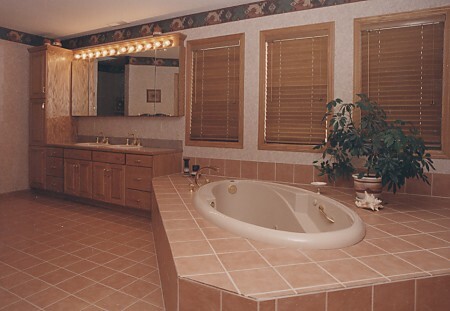 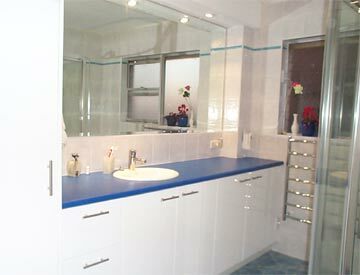 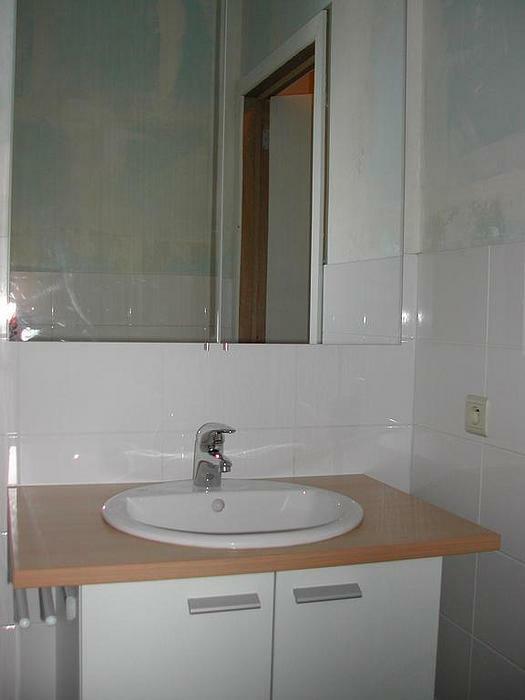 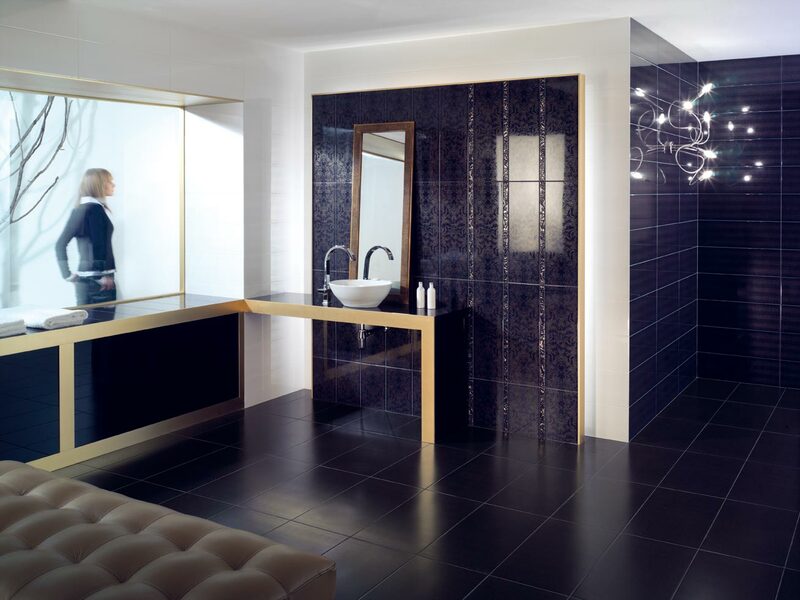 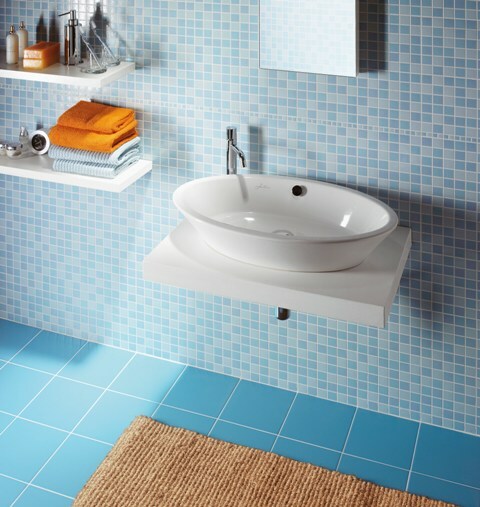 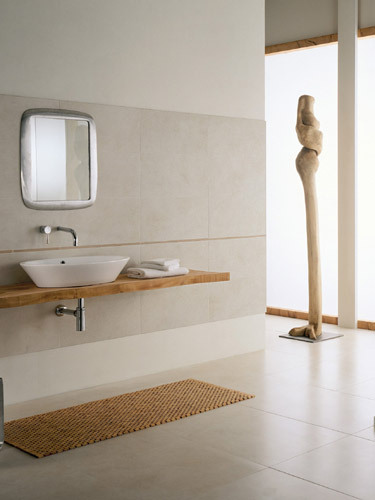 Whether your bathroom is small, medium or large, the following pictures will aid you in choosing a design, layout, vanities styles, floors and flooring, lighting, fixtures and color coordination. 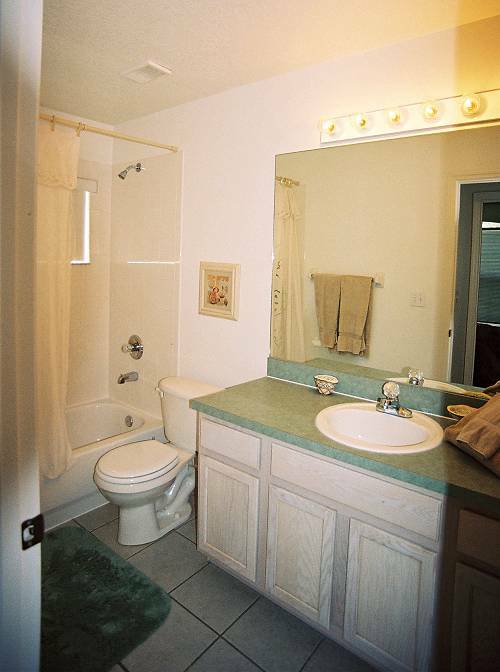 Click on thumbnail pictures (blue border) for larger image.